Microprecision is responding to the growing demand for surface-mount products by making models VSM and VSMP (Z-Foil) available to its customers. These resistors are available in five different sizes (between 0805 and 2512) and are constructed to consistently meet strict low temperature coefficients (TCR) and tight absolute tolerances. Bulk Metal Foil resistors offer a TCR of ± 0.2 ppm/°C over the range -55°C to +125°C and resistance tolerances to ± 0.01%. The resistors offer load life stability to ± 0.005% at 70°C, thermal stabilization time <1s (nominal value achieved within 10 ppm of steady state value) and electrostatic discharge (ESD) at least to 25 kV. The resistors are not restricted to standard values, but can be trimmed to any "as required" value. For example, a resistor can be supplied as readily with a value of 10K073 as with a standard value of 10K. The resistors' tight tolerances and high stability also have the advantage of enabling longer intervals between calibrations of the circuit. 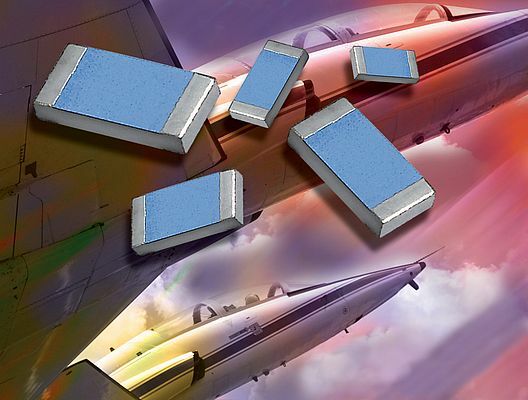 The enhanced reliability of the in-circuit-reference resistors provide more dependable equipment for several applications, such as military, avionics, deep-space probes, automatic test equipment, sense and measurement equipment, medical equipment and high-end audio equipment.